All things Solo: A Star Wars Story! Star Wars is one of the most recognizable media franchises in the world. It has had a key role in defining aspects of popular culture, creating a cult following and a passionate fan base. Did we mention that we’re big fans ourselves?! That’s why we couldn’t be more excited about the new movie coming out this week, Solo: A Star Wars Story. Solo: A Star Wars Story movie poster. Check out the official trailer for the movie. Press play to watch Solo: A Star Wars Story movie trailer. Actiview is beyond excited to be providing accessibility support for Blind/Low Vision and Hard of Hearing attendees of the new film. Starting June 1st, 2018, Audio Description and Amplified Audio tracks will be available nationwide in the U.S. for download on your mobile device. We hope that better accessibility for the new movie will mean that more people can enjoy the thrill of watching a Star Wars film in a way that is comfortable for them. Have someone who you think would want to try the accessibility tracks for the new movie? Share the Actiview app with them! 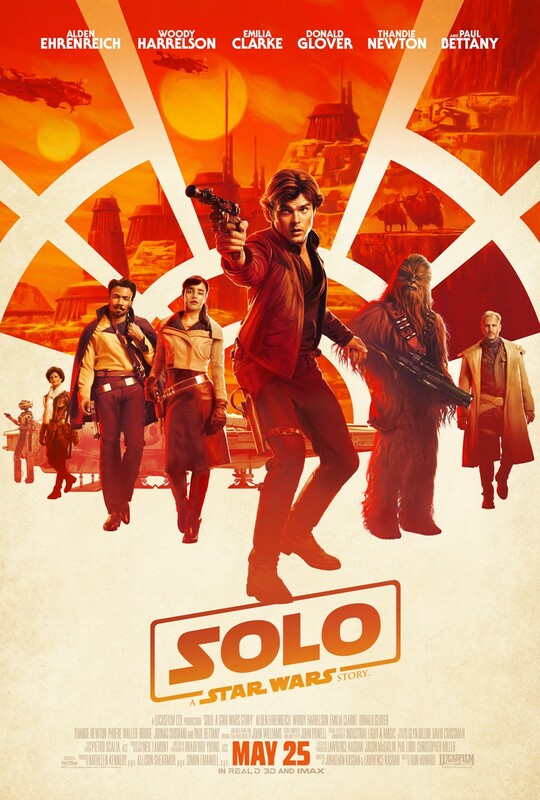 Download the Actiview app and experience Solo: A Star Wars Story with Audio Description and/or Amplified Audio tracks starting June 1st, 2018.